This is a really sweet story. 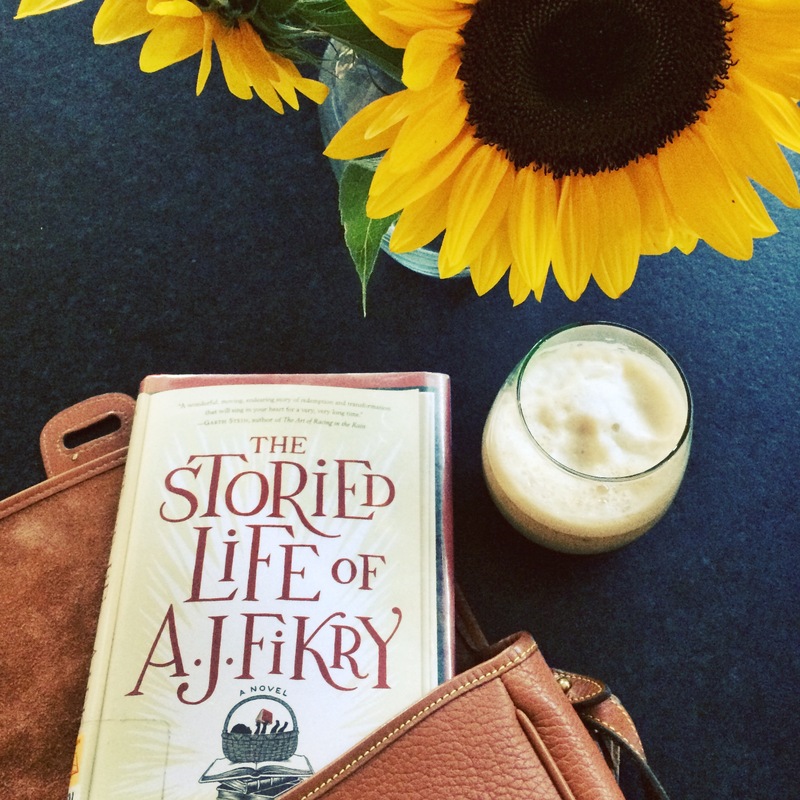 A few pages in, I wasn’t sure whether to stick with The Storied Life of A.J. Fikry by Gabrielle Zevin because the main character is a snobby bookstore owner. I can’t stand people who think that they are superior because their reading tastes are “more advanced” than others and that’s what I saw in this character. At least, that’s what I felt at first. Just a quick heads up, there are a few small spoilers ahead. A.J. Fikry, a grumpy isolated man, is in a dark place in his life until a baby girl is abandoned in his bookstore with a desperate mother’s note asking for help. A.J. ends up connecting with the child and takes her into his home. This baby brings him back to life and her arrival changes him, making him open up to let in the world around him. He allowed the people in his community to become a part of his life as well, turning the bookshop into a central meeting spot. The scenes between the two were funny as well, A.J. googling the different aspects of childrearing like how to run a bath or change a diaper, and the child’s view of the bookstore. This is a pretty quick story, only a couple hundred pages long, and I recommend it! Thanks for sharing about this book! Yes I agree, I can’t stand people like that re: reading tastes. From your review I like the sort of character development going on and it somewhat reminds me of A Christmas Carol. I’ll be adding this to my TBR. I listened to this on audio during a 9 hour car trip. It was one of the few audiobooks I enjoyed, but I feel like I missed something by not having actual pages to read. Still love the story, though! I think you’re right, parts can definitely be missed while listening on audiotape, but you can hear so many more stories that way! I read it this year. It was a beautiful quick book, that was really moving. I agree with you it was funny when A.J. was googling all the different things to help raise the child. How many stars would you give it out of 5?